We all know what it’s like to have to leave your pets at home. There are two ways it can go down, neither of them ideal. Leaving your pet alone is scary, because your pet can tear up your furniture, get into something poisonous, or make a mess on the carpet. 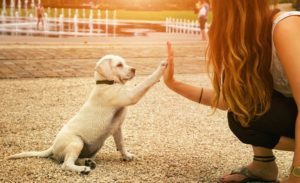 Leaving your pet with a sitter, however, is a much better solution, though it still requires some extra attention to succeed. Here are some basic tips to remember to make sure your sitter works out for you. First and foremost, you need to let your sitter know how your pet responds to certain stimuli. If you have a high energy dog, for example, warn your sitter that your dog will want to play if it’s excited, and so it may jump up on them and scratch them out of excitement if the sitter provokes them. It’s also important to let your sitter know what commands your dog knows, of how you know when your pet is hungry or wants to go outside. Another thing to remember is let your sitter know what kind of behavior is appropriate around your pet. For example, conventional wisdom dictates not to feed your pets your dinner, or they’ll constantly beg you for more. So, if your sitter violates that golden rule, you’ll end up paying for it later. On the other hand, if that arrangement works for you, letting your sitter know is a great way for them to bond and make your pet more comfortable. Last, but certainly not least, you need to communicate with your sitter. Of course, all of the above is a form of communicating with your sitter, but being in touch without throughout your absence is a must. Make sure they have your number and any other ways of getting in contact with you in case of an emergency. If you, or they, don’t have a cell phone, consider getting a phone or phone service with a provider like Straight Talk so you’re never more than a phone call away.